If you visited our porch decorating ideas page, you learned that color plays a big part in decorating your porch. It pulls it together and makes it work if you have a pleasing palette. In your everyday life, as you see porches that you love, take note of how the colors make all the difference. The color wheel shown identifies color families. You can see oranges, yellows, browns, reds, blues, purples and greens. All colors, except white, come from the three primary colors, which are blue, yellow and red. This is the kind of stuff we learned in elementary school. The secondary colors are green, purple and orange. These are created by mixing two of the three primaries together. If you mix blue and yellow together, you get green, for example. Neutral colors like white, black, grey and brown can be very stylish. You can add accent pieces and accessories to a neutral color scheme to make layers of colors. So how do you put colors to work on your porch? One way is you could just decorate with colors that you like. Or like interior decorating you could decorate your porch around the style of home that you have. 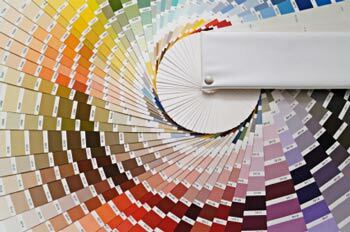 Did you know that there are colors that are associated with architectural styles? The color bars presented here will help you choose colors according to the architectural style of your home and porch. For example, a Victorian home will have deep, rich colors whereas a cottage will usually have lighter, softer pastel colors. Decorating a porch is much like decorating any room of your home. Here are some quick, classy decorating basics to get you going. Want to inspire conversation on your porch? Go for warm colors like yellow, orange, and red. A small dose of red can wake up a porch. Want a calming color for intimate dinners and relaxation? Then go with passive colors like blue, green, or purple. We make it easy. Choose your favorite color on the color wheel then look at the colors on either side of it. If you like both of those colors use both of them. Only like one of the colors? Then choose it and the color adjacent to it. An appealing color scheme usually includes only three or more adjacent hues and no more than half of the colors on the wheel. Another option is to use opposites. Opposites attract and so do colors that are opposite to each other on the color wheel. For example, red/green; blue/orange; or yellow/purple. But use only one of the colors as the dominate color and the other in a supporting role. Otherwise you will create a battleground where both will be struggling for attention - "look at me, look over here"
When you want to reshape an area or to give it a real welcoming look (like your porch) use warm colors (sometimes called advancing colors). Which ones are they? Check out the orange-reds, yellow, oranges and yellow-greens on the color wheel. Want to impress your guests when they arrive on your porch? Or, want to make a rectangular area (like your porch) appear more square? Paint one end red or yellow and the wall will visually help to create the illusion. Warm colors are great when you have a north facing porch, a view of the woods, or you spend a lot of time on your porch at night. If you need some help with color, here is a basic primer. Or course, there are a bazillion shades in-between those listed. The primary color yellow is a warm color. Yellow is considered to be cheerful and sunny color but sometimes it's associated with fire, just like red. The primary color red is an exciting and passionate color. It conveys strength and vitality. It is more commonly used in dining rooms but can be a fun color on your porch. Burgundy, red-violet and maroon are shades of red. The secondary color green is a mix of blue and yellow. Green is a natural color for a porch as it is one of nature's prominent colors. Green is restful and blends in easily with other colors - even pink! An easy and beautiful way to add green to your porch is with plants and planters. Aqua, turquoise and teal are shades of green. The secondary color of purple is a mix of blue and red. Purple is an emotional color. Many people consider it a very creative and artistic color. Violet and orchid are shades of purple. The secondary color of orange is a mix of red and yellow. Orange is a stimulating color. It has traits of both yellow and red - sunny yellow to passionate red. Tangerine and peach are shades of orange. White represents purity and joy. 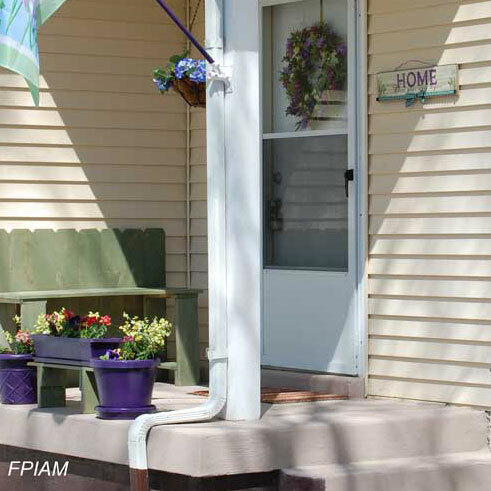 Without adding other colors to your scheme, a totally white porch could seem bland. Every other color goes nicely with white - except perhaps off-white colors. Like the color red? 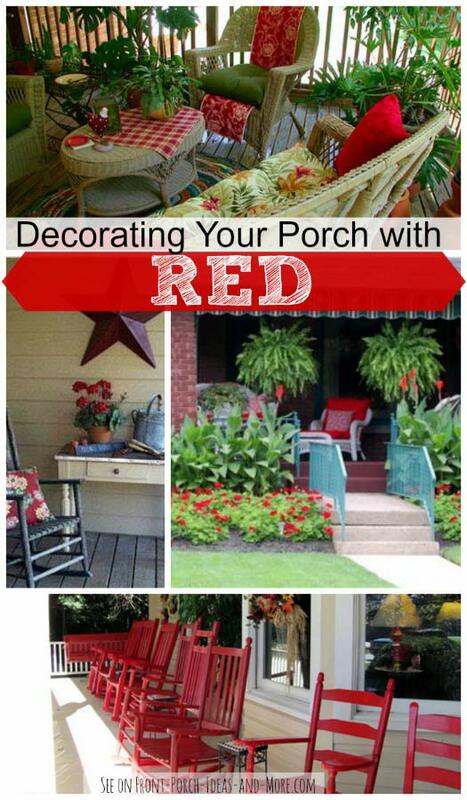 See some porches that are decorated in passionate red.